Welcome to the Official Home of the Bomb Squad Club.The Bomb Squad Baseball Club was established in 2001 , and over the years our organization has become a highly successful, nationally recognized developmental program. Our organization consists of multiple select youth baseball teams in the St Louis Metro Area and IL. Our Bomb Squad teams compete in various age divisions across many competitive baseball associations, sanctioned leagues and tournament play. If you cannot make these dates and need to schedule a private tryout we can do that as well. 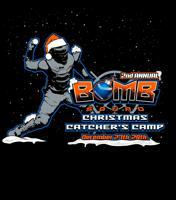 Bomb Squad Baseball and Softball will conduct its 2nd Annual Christmas Catcher's Camp Featuring Former University of Miami standout and current San Diego Padre Jason Hagerty and Aaron Bossi current New York Yankees catcher. * The camp will run from 9am-12pm December 27th-29th and will focus on all aspects of catching. *Cost of the 3 day camp is $95.00 and includes a camp shirt and autographed photos of Jason and Aaron. * Call now to reserve your spot as we are only taking 50 catchers for this camp! Call us @ 636-671-2324 or email Bombsquadinfo@aol.com. We accept all forms of payment and will be required when you sign up. ©2019 Easton Bomb Squad Baseball / SportsEngine. All Rights Reserved.